With robotic mining in space has become a lucrative part of the economy, and shipments from space are dropped down the gravity well into the oceans. David and Elizabeth fight for dominance of the computer systems controlling ore drop placement in international waters. Each one intuits that the other is their real competition but can't prove it. International piracy has very high stakes and some very evil players. And both Elizabeth and David end up in a world of trouble. 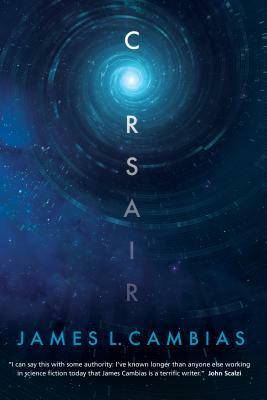 James L. Cambias, the author of A Darkling Sea, has been nominated for the Nebula Award, the James Tiptree Jr. Award, and the 2001 John W. Campbell Award for Best New Writer. He lives in Western Massachusetts.